The oil painting on canvas is stunning. The artist did exactly what I wanted, even the small changes I requested. If I ever need another painting made I will see if this artist is available. 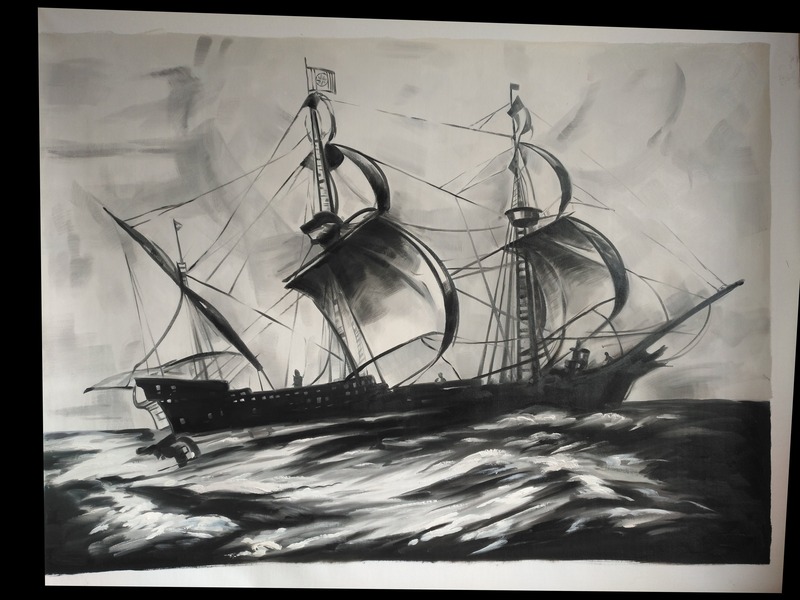 Please create black and white oil painting on canvas with landscape layout shown in the photo, (please do not include the wall the painting is mounted on) In the corner of one of the sails of your choice, please discretely input “II*III” no larger than 1 inch high, 1 inch wide, at your discretion. (Do not include quotation marks).